Thanksgiving is almost here, and it’s a perfect opportunity to emphasize etiquette and table manners with your children. The Bible tells parents that they are their children’s first teachers. (Deuteronomy 6:6-7) We can make the most of every opportunity, even mealtimes. Discuss with your children the purpose of manners. Explain that the reason we have manners is so we can enjoy and have a pleasant atmosphere with one another, whether they be guests or family members and friends. We also want others to see Jesus in us. That means we need to act as Jesus did. For younger kids, this could be a time to reinforce saying please and thank you. For older kids, not only saying those magic words, but also emphasizing others first rather than self. Also discuss manners in using devices (cell phone, tablets, iPad) when company is around. Teach your children to set the table. For younger kids, they could put the napkins on. For older kids, show them a diagram of a properly set table. Teach them the difference in salad forks, entrée forks, and dessert forks. Have them help you set the table. They could think of the table as a big puzzle to put together. 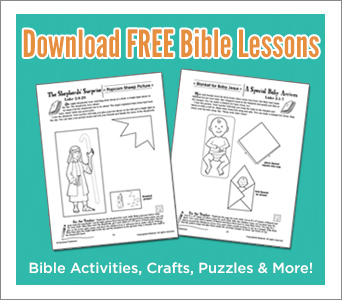 Placemats: Younger kids can color large pieces of paper with a Thanksgiving scene and Bible verse. Place cards: Older kids can practice handwriting on place cards and have fun determining where guests will sit. Napkin rings: Cut toilet paper tubes and cover them with pretty tapes or paper. Centerpiece: Collect fall leaves and glue onto a cardboard ring. Place a candle in the middle. Start or continue traditions. A great way to have pleasant conversation is to start or continue traditions that teach thankfulness. One tradition could be, before you eat, have each person share one thing they are thankful for. This is also a wonderful way to show children how to take turns, listen, and interact with people of all ages. Tina Cho is the author of The Girl’s Guide to Manners published by Legacy Press Kids 2014 and a coloring book, God Is So Good published by Warner Press 2013. Seasons of the Asian Pear Tree, an e-book, was published by Schoolwide 2015. Tina writes for the educational and children’s markets. She lives in South Korea with her husband and two children while teaching 1st grade at an international school.